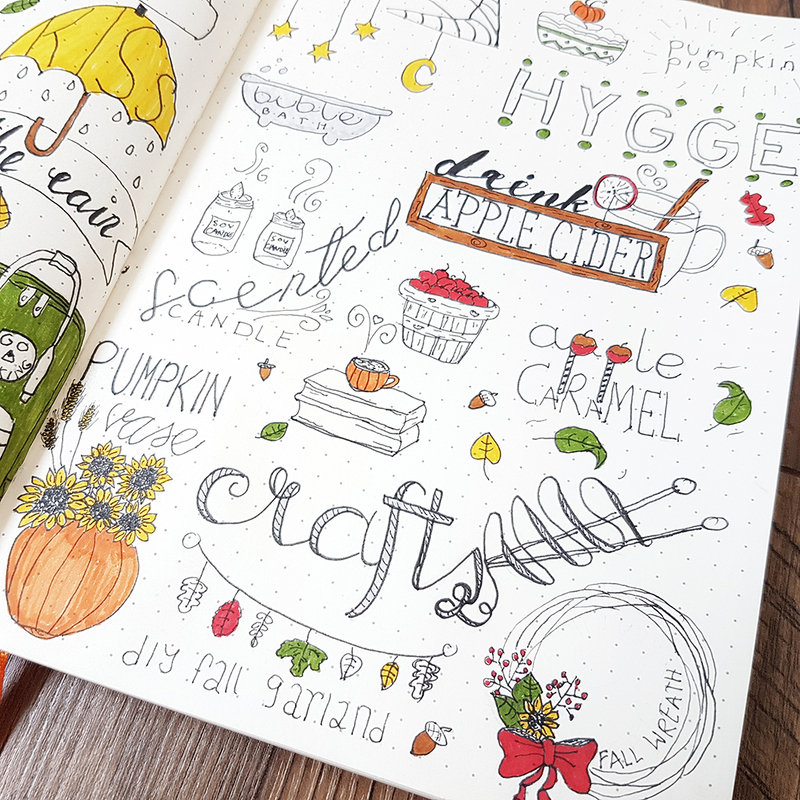 Fall is my absolute favorite time of year and it’s a great time to get creative with your bullet journal. There are many different ways you can express your creativity with your fall journal by decorating with fun and festive stickers, stencils, washi tape, drawings and beautiful colors. I found a really helpful site that goes into detail about all of the different ways to decorate your journal for fall. Shout out to Anja Home for some creative ideas! Don’t be shy when it comes to decorating and personalizing your journal. Washi tape is one of my favorite ways to decorate my bullet journals! There are so many options and it looks great to use as a border for your pages. 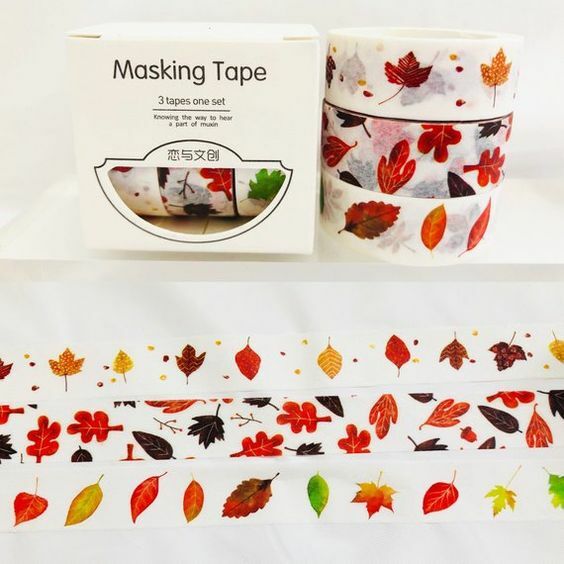 Stock up on different types of washi tape like foil, glitter, fall leaves and Halloween themed. Stickers are also fun to use with the tape and can help set a theme for each page, along with headers and banners. Pinterest is a great place to get ideas, especially when it comes to washi tape! There are so many fall activities to do, you want to be organized and prepared for the season! Create a bucket list for fall and include all of the festive things you want to do like corn mazes, hay rides, pumpkin patches and haunted houses. You can also include a list of goodies that you want to bake (think Pumpkin pie!) or candy you want to stock up on for Halloween! A bullet journal will also help you get organized for Thanksgiving. Create lists that include the guest list, grocery list, dinner ware list, dinner menu and cooking schedule. You can also use a bullet journal to list the things you are grateful for or the places you might want to give back to this season by volunteering or donating. Decorating is a must for fall holidays and keeping track of your decorations can be tricky. Use a bullet journal as a way to take inventory for your décor and make a list of things you might want to add to your collection. 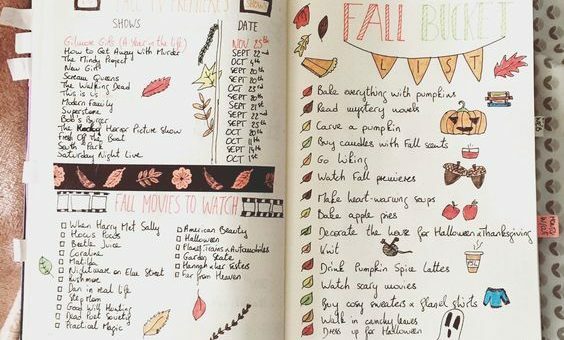 Anja Home does it again with an extensive list of pages to add to your fall bullet journal. This will help you keep track of the things you want to get done, since the season can fly by, you won’t skip a beat with a bullet journal. It is also a great way to record memories! Fall is a great time to cozy up in blankets and read a good book. Make a list of books you want to tackle during the season and include seasonal books like thrillers. Also, a list of movies you want to watch. This helps you get in the spirit so that you can watch all of those horror movies and Halloween shows before October 31st . Halloween music is also fun, so make a list of some of your favorite spooky tunes to add to your playlist. This can be done for any season! Track your moods with a bullet journal so you can see how you transition to the season and deal with the changes in weather. This will help you evaluate your mood and overall health. Have fun with it by making a color coded key to help you record any patterns in your mood or sleep. For a better idea on this concept, check out this site that caught my eye on Instagram. Make sure to follow mrs_bullets_journal42 on Instagram for more creative bullet journal ideas! My favorite fall bullet journal idea is to get even more specific and make a separate Halloween bullet journal or Thanksgiving bullet journal. There are many separate lists you can include for Halloween and Thanksgiving, they can make their own bullet journal. 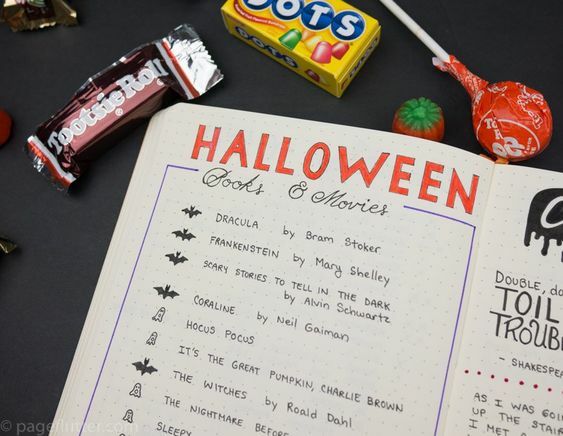 Page Flutter has the coolest Halloween bullet journal ideas that can help you design one. Also, stay tuned for upcoming blogs dedicated to how to achieve these holiday specific journals. 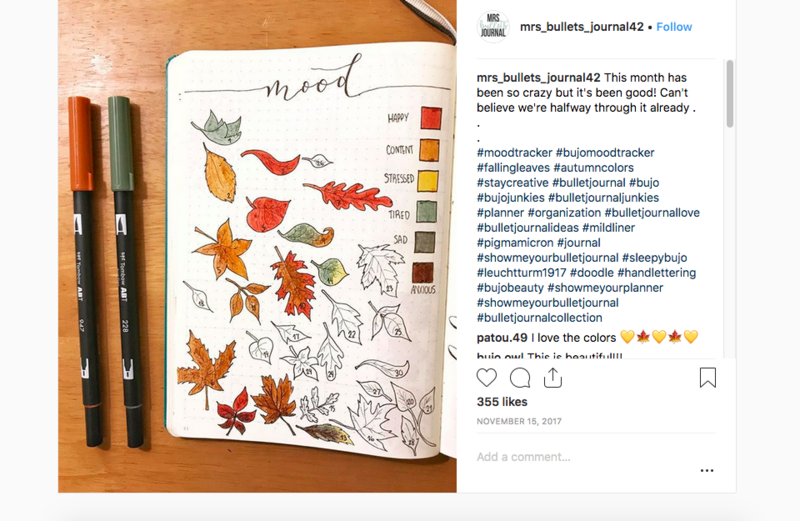 Looking for help with finding the right journal for your fall bullet journal? Check out our blog. And don’t forget to have fun and be creative with your seasonal journals!